Ready to take your favorite Honda model home? Visit our Finance Center to find out how easy and fast it is to drive your favorite models into your driveway today! Our car financing experts are here to go over Honda financing deals, Honda lease deals, down payments, monthly payments, and so much more. If you are looking into leasing a car in RI or you’re ready to secure an auto loan, the staff at our Finance Center will be more than happy to answer any questions you may have. Contact us and find out why it’s Better at Balise! Our number-crunching gurus are specially trained to make financing your vehicle a quick and easy process right here in West Warwick, RI near Providence. They are experts in tailoring your finance plan to your budget so you can drive away happy with a vehicle that fits your needs! Even if you have less than perfect credit, do not hesitate to apply. 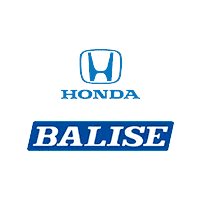 Balise Honda of West Warwick is one of the premier car dealerships in RI with guaranteed financing, and our experienced staff can work with all credit types. We encourage you to take a moment to fill out our online application while you are choosing the car you want, and we’ll help you take care of the rest. Come pay us a visit here in Balise Honda of West Warwick, and our Finance Team will be more than happy to walk you through the financing process. We are proud to serve West Warwick, Coventry, Cranston, Johnston, Providence and beyond. See you soon!